Superstorm Sandy caused the worst damages of any storm in the 83 years since Jones Beach has been in existence. The storm’s 21 foot waves slammed into the beach and destroyed or twisted large lengths of the boardwalk in addition to severely damaging structures and utilities. "There is a significant amount of work ahead at Jones Beach in terms of looking at our infrastructure to prepare for the reality of rising sea levels, damaging storms and rebuilding," parks Commissioner Rose Harvey said Friday. The Office of Parks, Recreation and Historic Preservation is investigating how to best protect the boardwalk, which was completely washed over during the storm, and has commissioned a study on how to best rebuild and protect the historic beach. Waves during the storm actually burst through the floor of the snack bar at the Central Mall. Even the long debated and hard fought for “Trump on the Ocean” project has been called off after evaluating the severe damages from the storm. 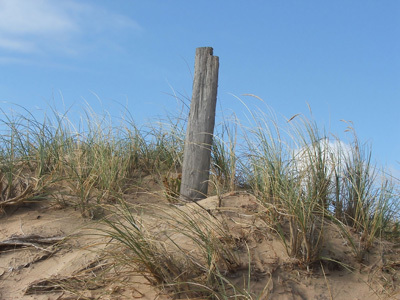 According to coastal experts, installation of a high, well vegetated dune in front of the boardwalk would provide protection. State officials are also working to protect against future storms by making the landmark beachfront more flood resistant by raising boilers and electrical utilities and relocating a natural gas fueling station. While much of the debris has been carted away and the boardwalk is in the process of being repaired, the major contracts for rehabilitating the buildings have yet to be awarded. Some contractors are already being paid on a time and materials basis to remove debris and make repairs to the boardwalk. According to reports by ABC, the park manager, Susan Guiliani said the parking lots currently open to the public include fields 2, 6 and 10, the boat basin and the West End 2. "In order to reopen Field 6, where the waves were actually up into the parking lot, we had to remove tons of sand -- at least 50 dump trucks full," Guliani said. That sand was re-deposited on the beach while the debris was taken to a landfill by the contractor. More than half of the permanent staff as well as seasonal employees are working to remove debris, install snow fences and replace broken and damaged tables and benches. Officials claim the majority of the park will be re-opened and safe for the public to enjoy by Memorial Day. Protecting Your Business in Three Easy Steps - An Expert Guide! Subject: LongIsland.com - Your Name sent you Article details of "Rebuilding and Protecting Jones Beach after Sandy"